Winter weddings do not have to be in only winter white colors. There are several colors that would be fitting for a great winter wedding. 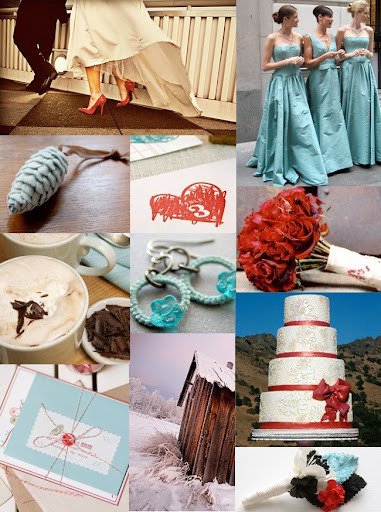 One could pick cool or warm colors that would fit a winter wedding. Cool colors that are perfect for a winter wedding would be: ice or navy blue and forest green, or ice blue with white and silver accents. Warm colors that are in contrast to the cool of winter weddings include: red, orange, yellow, and dark purple or grey with a touch of red. This will be a sharp contrast to the colors outdoors. These warm colors would be perfect for a winter wedding. For more on how to choose colors that would be suitable for a winter wedding, please read the article below. Winter weddings are memorable occasions because of the wedding itself and also because of the holiday season. 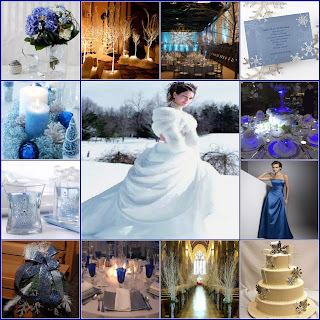 If you want to have a winter wedding, you have to choose appropriate winter wedding colors and decorations. The tricky part about this is you have to create a mood that is both appropriate for a wedding and will also bring out the festive moods of the holidays. You need to think how to incorporate these two occasions into a one, grand theme that will wow guests and onlookers. 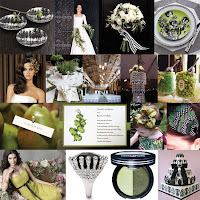 Here are some tips on how to choose colors for your winter wedding. • Take into consideration the place or the venue of the wedding. Most winter weddings are held indoors because of the cold weather outside. Think of colors that will make the atmosphere warmer and will make the cold season cozy and inviting. • The most popular color motif for winter weddings is a combination of warm colors such as red, orange, yellow, and dark purple or grey with a touch of red. This will be a sharp contrast to the colors outdoors. • You can also use cool colors such as ice or navy blue and forest green. This will greatly complement your warm colors. If you are planning on a winter wonderland theme, you might want to use ice blue with white and silver accents as your color motif. • Metallic colors such as gold, silver, and bronze can be great color accents for your primary colors. This will make the entire room and decorations glitter magically. You can pair these colors with any other basic winter wedding colors. • Formal weddings in winter require rich winter colors such as deep red with gold while casual weddings can use lighter colors such as light blue or purple. • You can use flowers that will complement your color scheme-poinsettia, hydrangea, white roses, lilies, red amaryllis, tulips, delphiniums, and muscari, to name a few. These flowers reflect the colors associated with Christmas. Choose the best colors for your color motif. • Metal colors give formality and elegance to a wedding reception. You can use them as color accents for the flowers and the bridal bouquet and the table settings. If you have proper lighting using electric lights or candles, the lights will reflect the metallic colors and will provide a romantic and magical glow in your wedding party. • Do not be afraid to think outside the box. There are many color combinations that will create the perfect atmosphere for a winter wedding. The most important thing is that you and your partner like it. 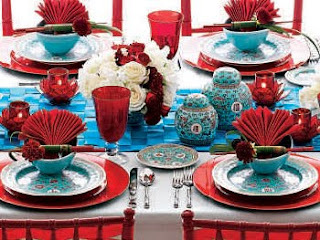 • You can still use your color scheme even at the party after the wedding reception. You can light the dance floor by using your color scheme. You can even personalize the lights by creating a stencil of you and your partner's initials. This will surely make your wedding the wedding of the century. 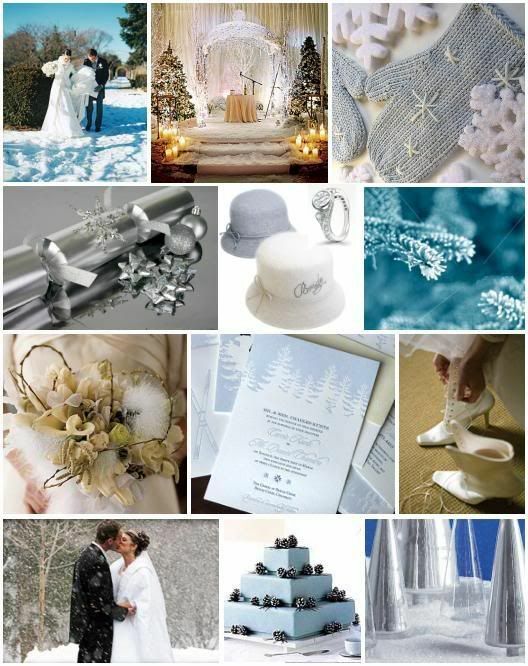 It is very fun and exciting to choose the best winter wedding colors. Just think about the occasion, the season, and what you like and everything will fall into place.